Let's just start this post by admitting that I've been keeping this recipe from you for some time now. I've been making it over and over, perfecting it each time. It's really quite simple, but questions like "red onion or scallions?" "add bell pepper or no?" "what kind of acid to brighten it?" needed to be answered. You'll be happy to hear that we have finally arrived at what I believe to be one of the yummiest chicken salads out there. 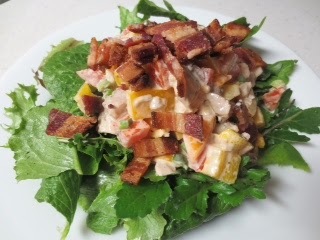 Outside of outrageously good bacon and a little bit of mayo, it's a super healthy salad! 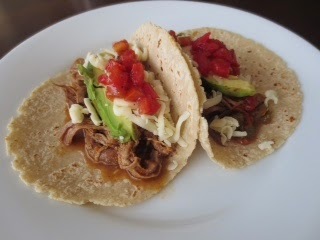 When I saw the words "crock pot" and "tacos" in a post from one of my favorite bloggers, I knew this was gonna be a must try. And guys, really... it's not just a must try, it's a must try and make once a week! This meal is going to become an EASY go-to for the Ritter fam. Plus the leftovers for lunch... wow. It is so simple. You are not going to believe the time you find yourself with during the day. I actually got out my wedding album scrap book and flipped through it... ya, that kind of time! Alright alright, my kid was having a banner day, but nonetheless, SUPER easy and RIDICULOUSLY yummy. 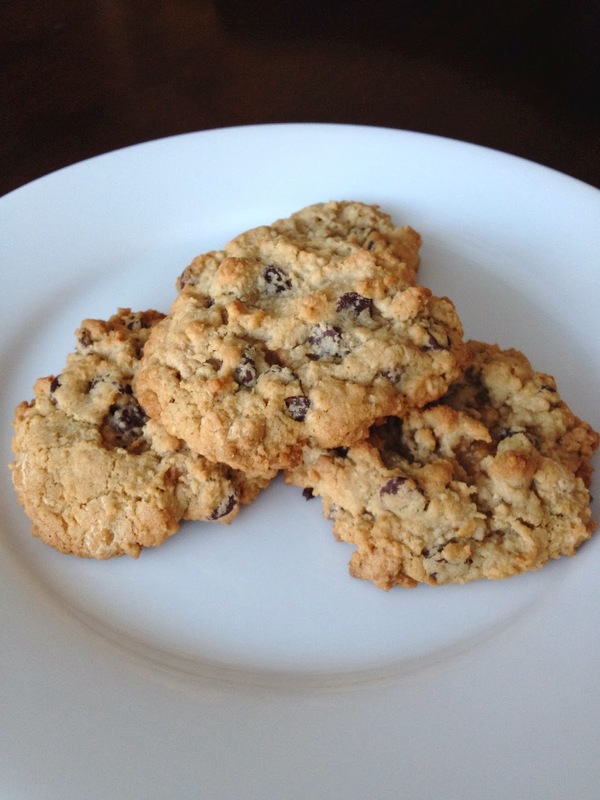 I've found and tweaked a cookie recipe and it's worth sharing. Actually it's worth shouting about! My camera was in a drawer full of receipts, legos and old pens, so I decided that I would post the recipe with a final shot and call it a day. Let's be honest, you just want the straight facts, no fluff. -They have chocolate chips in them. Obvious necessity. -They have peanut butter chips in them. This was a genius move if I don't say so myself. -They have oatmeal in them. BLENDED oatmeal. This makes their fabulous texture.